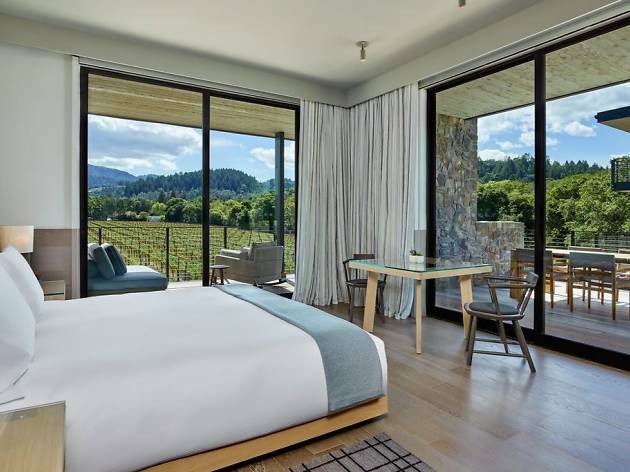 This Luxury Collection hotel is one of the newest hotels to open in Napa Valley. Built around a century old white mansion on a beautiful property landscaped with abundant magnolia trees, the hotel features an outdoor heated pool with cabanas, a pool bar, spa, fitness center, and Acacia House restaurant, the newest offering from celebrity chef Chris Cosentino (be sure to try their margarita!). Six guest rooms are located on the upper floor of the historic Acacia House. 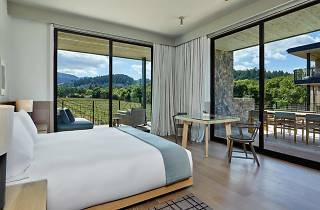 The hotel is located next door to the historic Beringer Winery and within quick walking distance to luxury shopping and dining in Downtown St. Helena.